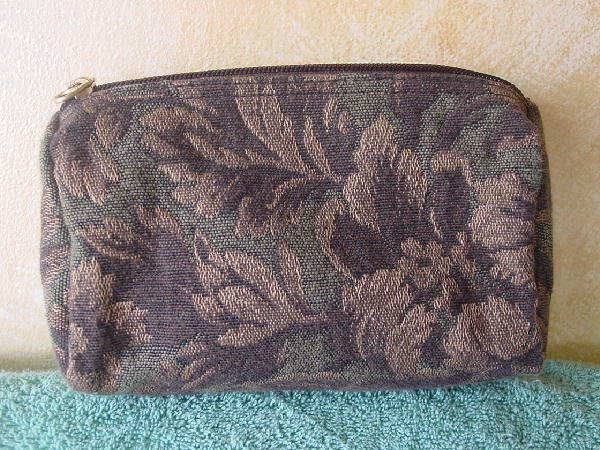 This never-used tapestry makeup bag has a top side to side zipper and a black (feels like a textured vinyl or heavy plastic) lining. It can also be used as a clutch. There is a floral design in olive green and various shades of brown.